Work Force Tracker includes online reporting and business intelligence tools that helps you easily analyse your business data, and insightful reports & dashboards for informed decision-making. 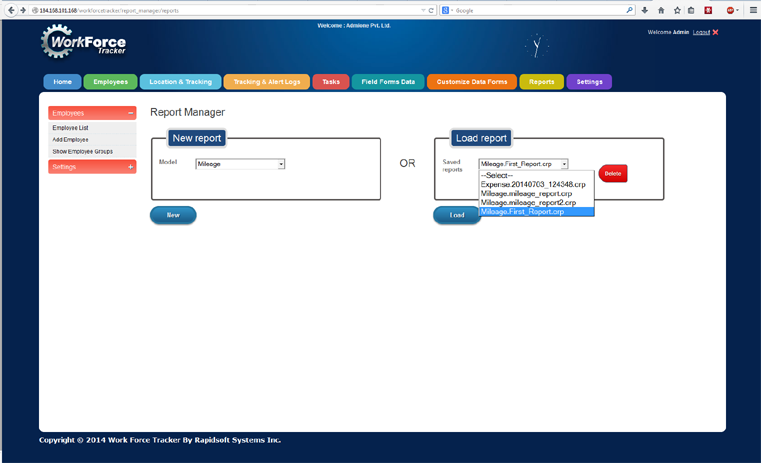 It allows you to easily create and share powerful reports in minutes with no IT help. You can use our built-in reports or our team can create queries that you can run again to create powerful graphics data reports. Workforce Tracker is a unique product that combines features of security, and work force productivity together into one comprehensive easy to use product. Managing your business with Work Force Tracker service management automatically creates a repository of data that you can use to generate business insights. Work Force reports show all of the daily/weekly/monthly stats you’d expect to see while enabling you to drill down deeper into the details to get new insights. Analytic like this were previously only available to large enterprises. Today's fast-paced, competitive service environment demands visibility across your entire field organization. Achieve your goals with powerful information to help you make decisions that keep customers happy and revenues flowing. Get instant status on installed products with warranties expiring, delayed RMAs, critical work orders, and much more. 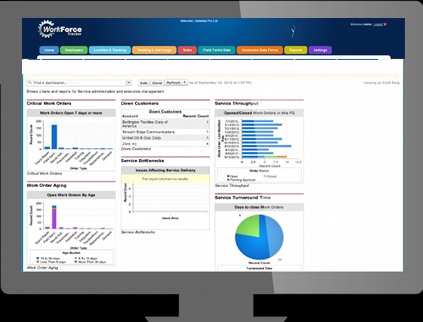 Field Force Tracker's Reports & Dashboards give you, your executives and service managers the ability to easily establish the key performance indicators (KPIs) that keep your service business profitable and competitive.